This is the third time this Austrian unit appears on Leo Records although the first time (CD LR 554) they were a quartet. 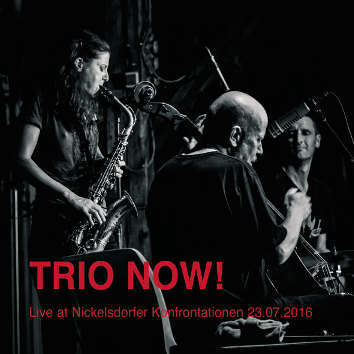 Tanja (saxophone), Uli (cello) and Fredi (drums) grew up in the small village of Ulrichsberg, they know each other from childhood, they caugth fire at the Jazzatelier Ulrichsberg and started playing and dreaming. Now, some 20 years later, they are the pride of Austrian new music with their own sound, identity and even sense of humour. The motto of TRIO NOW! - rehearsals are not possible without: olives, wine, potato-crisps, tittle-tattleing.